Having lived in both California and Florida, I’ve always loved the coast. The sea is so refreshing and effortlessly beautiful. The dining room is a great place in which to capture its essence so you feel like every time you have a meal, you’re dining by the sea. 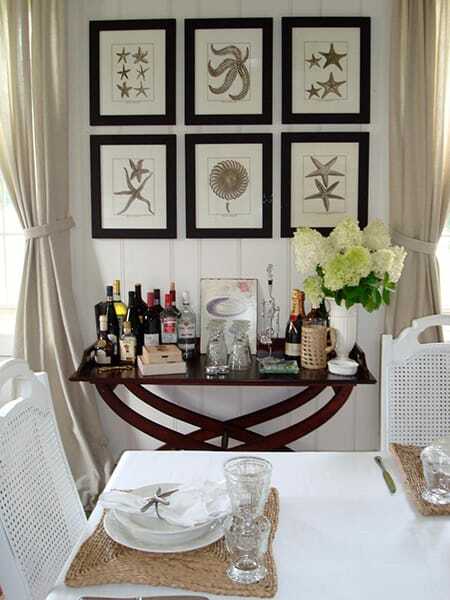 Coastal dining rooms come in all manner of flavors. There isn’t one strict look for coastal decor. It can be interpreted in a number of ways, including elegant, rustic, contemporary, traditional, cottage, and every style in between. You don’t have to stick with the obvious icons and colors that are most popular in coastal design if you don’t want to. You can get creative, make it flow with the rest of the home, and capture specifically what it is that you love most about the coast. 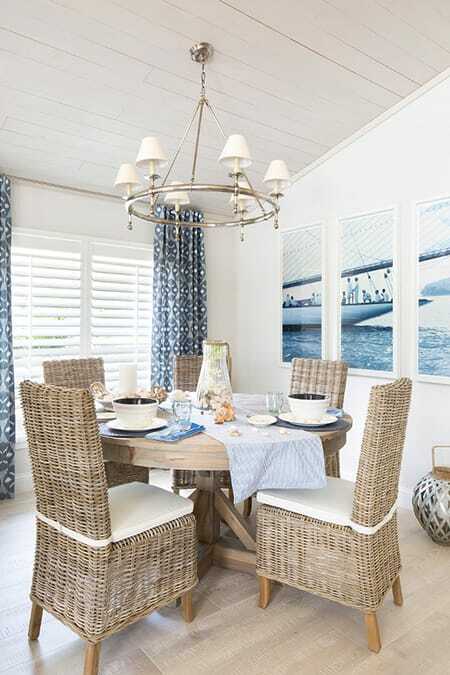 Here are 10 coastal dining room ideas that run the gamut of styles and show just how versatile this look can be. 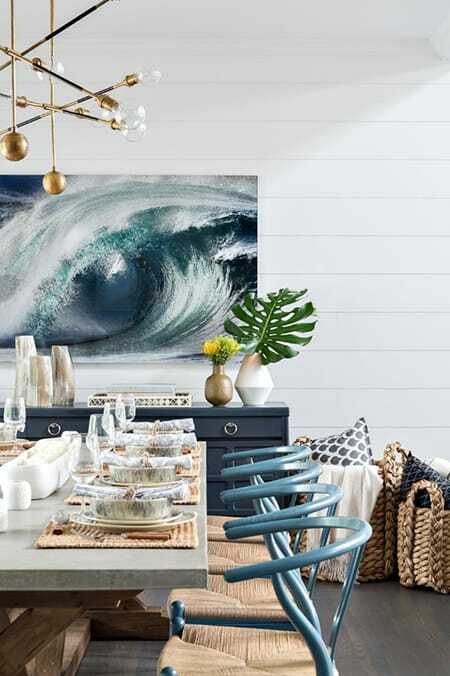 A beautiful piece of art of a crashing wave inspired the gorgeous palette of white and blues in this coastal dining room. 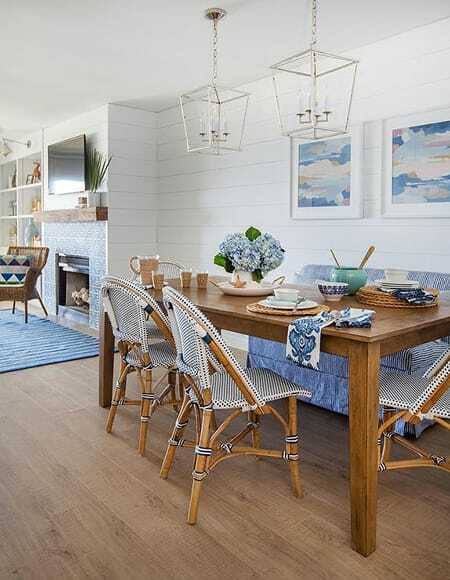 Illustrations of vintage swimsuits add a nice touch of character to this rustic, coastal dining room. This simple space with natural textures and relaxing blues is the perfect place to start your morning. 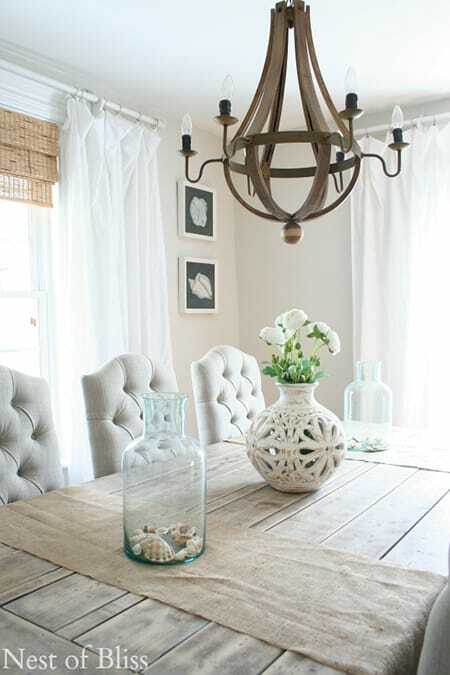 Farmhouse meets coastal with greys and elegant, rustic accents. All the pops of color make this dining room cheerful and full of life. Shiplap walls look wonderfully charming in this space, as does the settee and polka dot chairs. 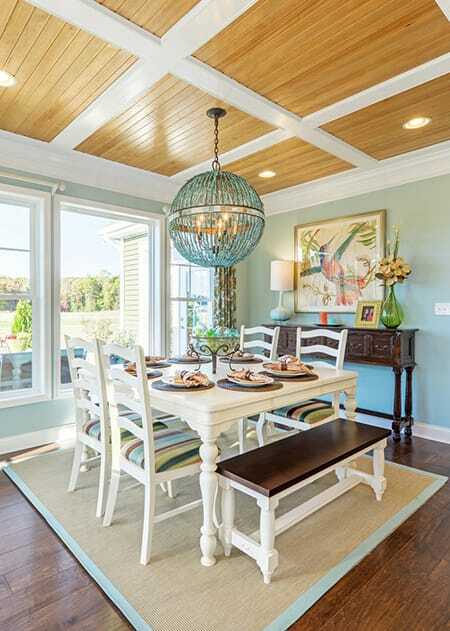 This neutral dining room shows that you don’t need blue to create a refreshing coastal space. 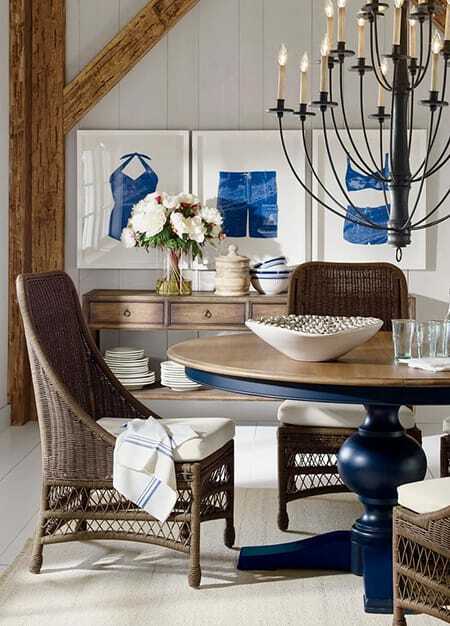 A striped rug and pops of blue on the table bring in a subtle touch of color against the fresh neutrals. How stylish are those unique light fixtures? 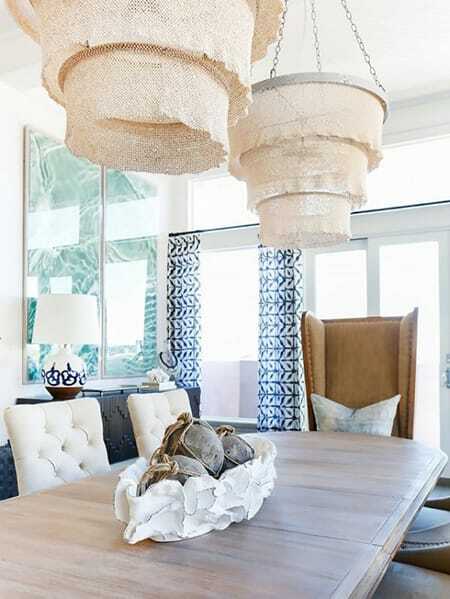 The artistic, shell-shaped centerpiece is another great touch. Animal print meets coastal in this blue and white dining room. Check out that beautiful high gloss blue ceiling! Now, I want to go to the beach!